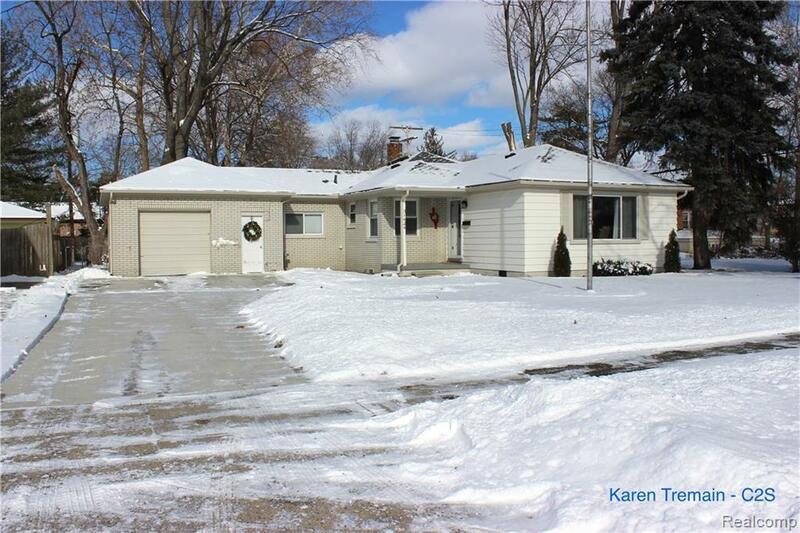 BEAUTIFULLY REMODELED HOME ON A LARGER, FENCED LOT WITH A NEW DRIVEWAY AND ATTACHED GARAGE. THIS HOME HAS EVERYTHING YOU NEED - UPDATED BATHROOMS, GORGEOUS HARDWOOD FLOORS, NEW FURNACE, A/C AND WATER HEATER IN 2017. THE KITCHEN HAS BEEN COMPLETELY UPDATED WITH GRANITE COUNTERTOPS, NEW CABINETS, STAINLESS STEEL APPLIANCES AND CERAMIC TILE FLOORING. THE LAUNDRY ROOM PROVIDES TONS OF SPACE AND EXTRA CABINETS FOR STORAGE. WITH YOUR FIRST VISIT, YOU WILL FEEL THE WARMTH AND COZINESS THIS GEM HAS TO OFFER. IDX provided courtesy of Realcomp II Ltd., via City2shore Real Estate and Realcomp, ©2019 Realcomp II Ltd. Shareholders.